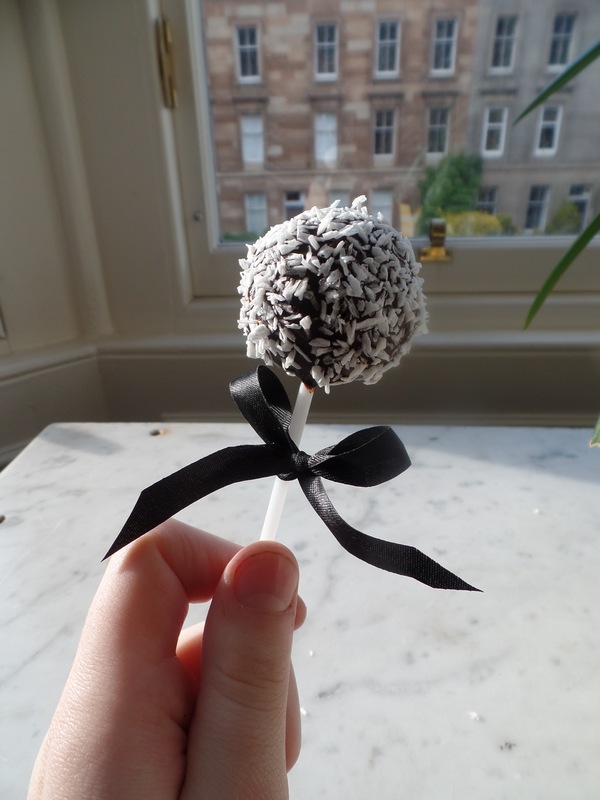 Cake Pops, aesthetically pleasing yes, but are they tantalising to the taste buds? I guess this is debatable. 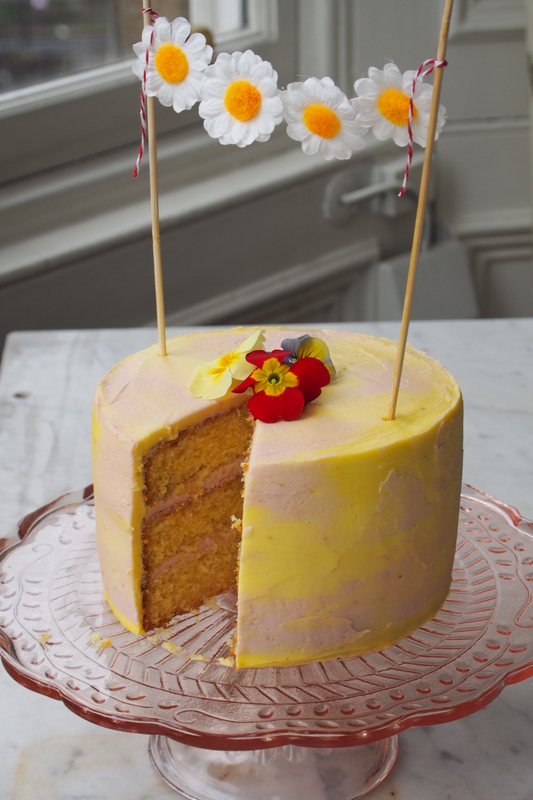 I don’t know about you but for me cake mushed up with buttercream into a stodgy ball and coated in candy melts isn’t really my cup of tea. 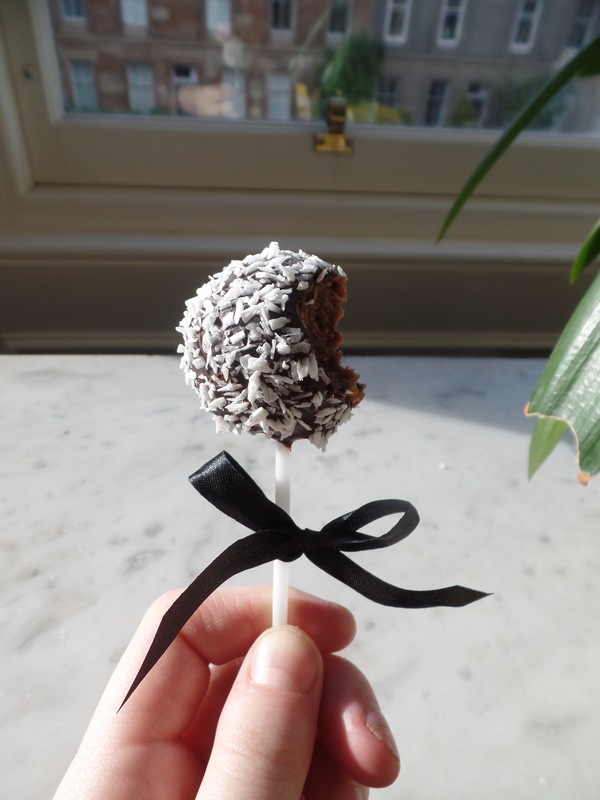 Now don’t get me wrong, I have nothing against cake pops, I think they are wonderful little things and can look absolutely amazing- I just think that there must be another way of achieving the same effect without all the sickly, sticky, sugariness they entail. 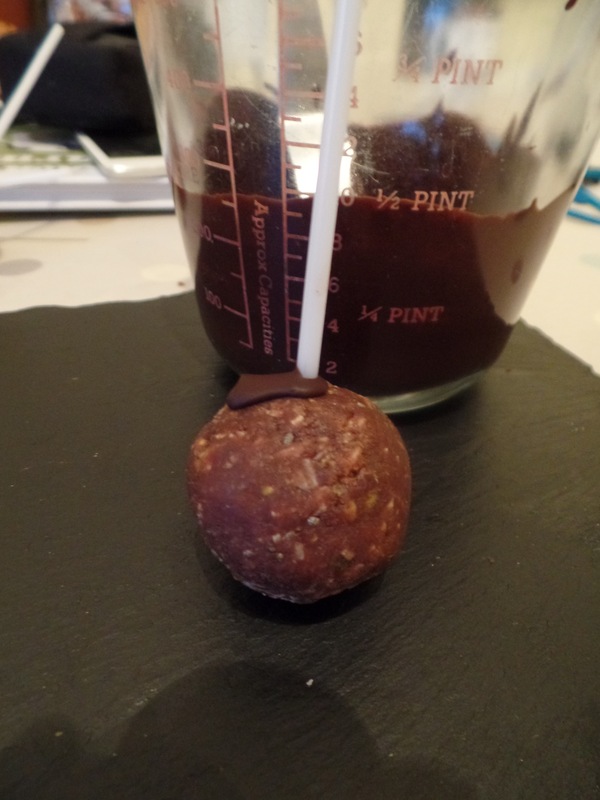 Cue the Raw Pop- just the same as the cake pop yet WAY healthier and much quicker and easier to make. 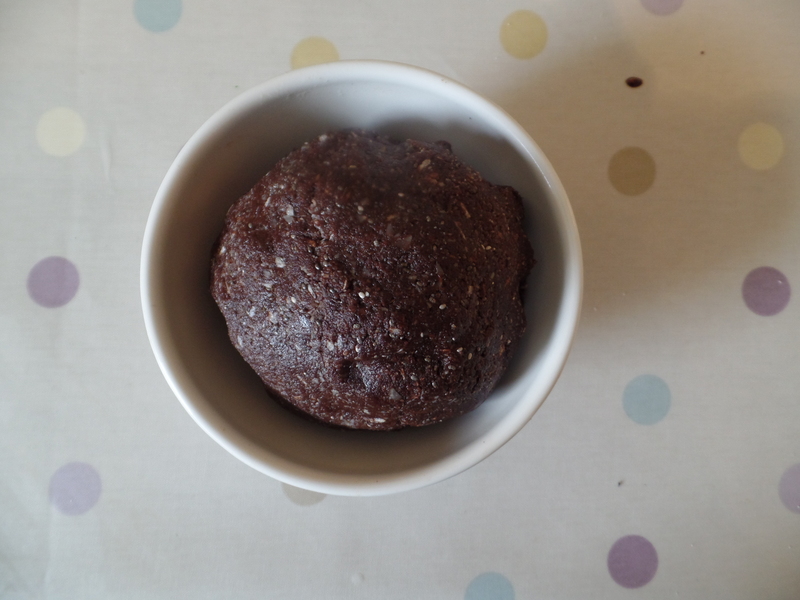 No baking required, these little balls of heaven are also Vegan friendly, Dairy Free and Gluten Free. I know what you are thinking-Surely this must mean they taste gross? Well there you would be wrong. They are totally delicious, full of energy and if that isn’t enough to convince you I will have you know that my friend Maddy who gave me this recipe once had the one and only Benedict Cumberbatch come into the café where she works to sample one of these wee beauties- if that isn’t enough to convince you then I don’t know what is! 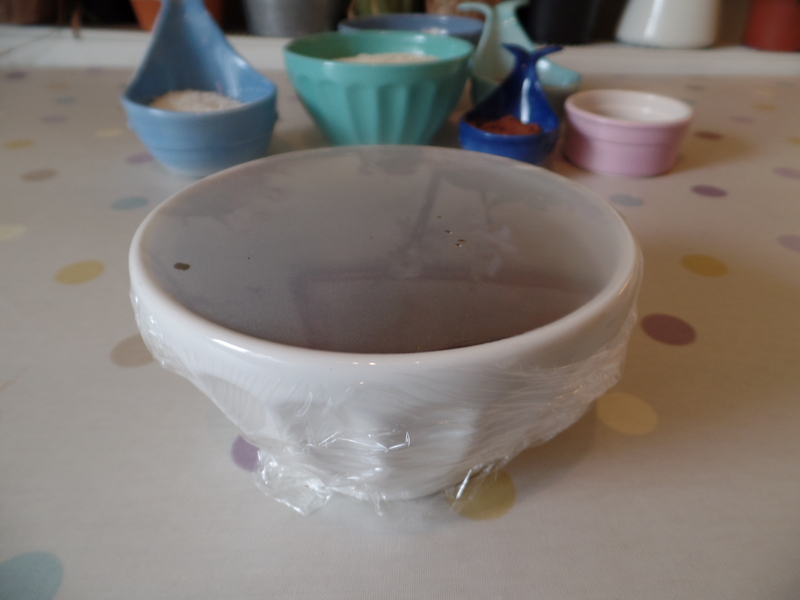 Soak the dates in a bowl of boiling water covered with cling film for 15 minutes until soft. 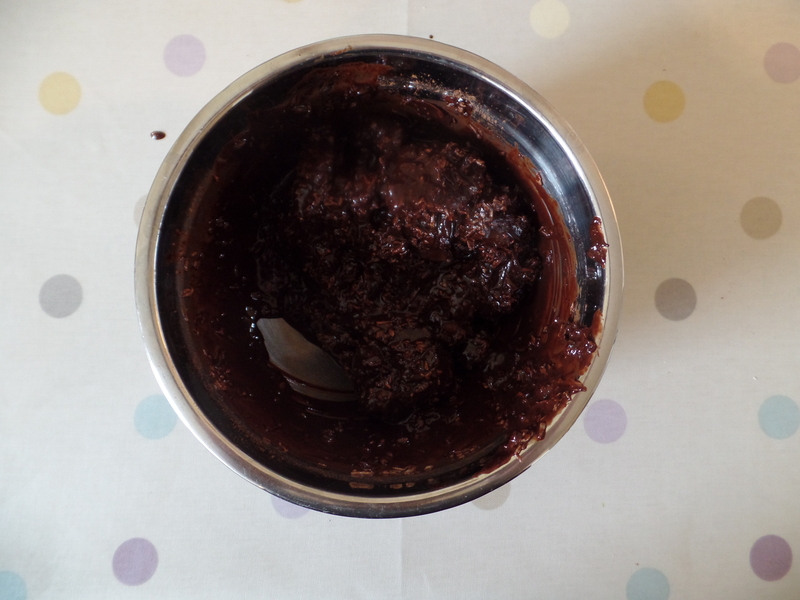 Melt the coconut oil in the microwave then blend the softened dates, cocoa powder, melted coconut oil and 75g of the desiccated coconut until they are all combined. 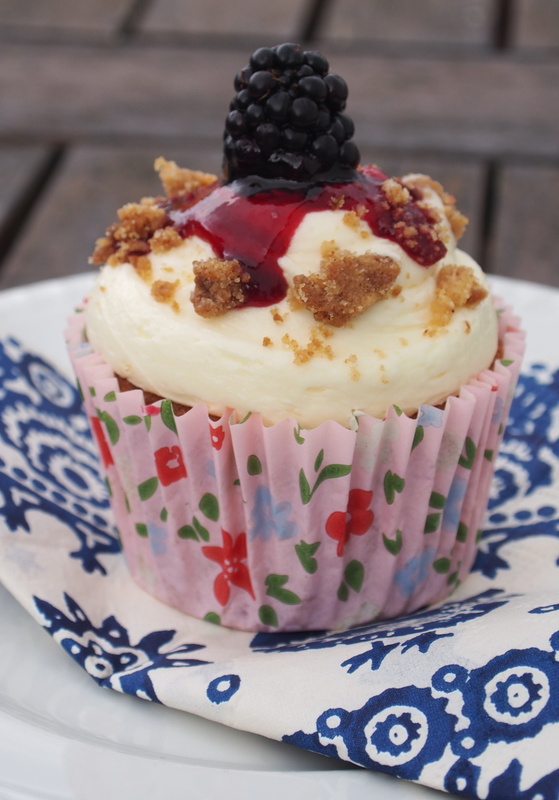 I used a hand blender for this and it worked absolutely fine. 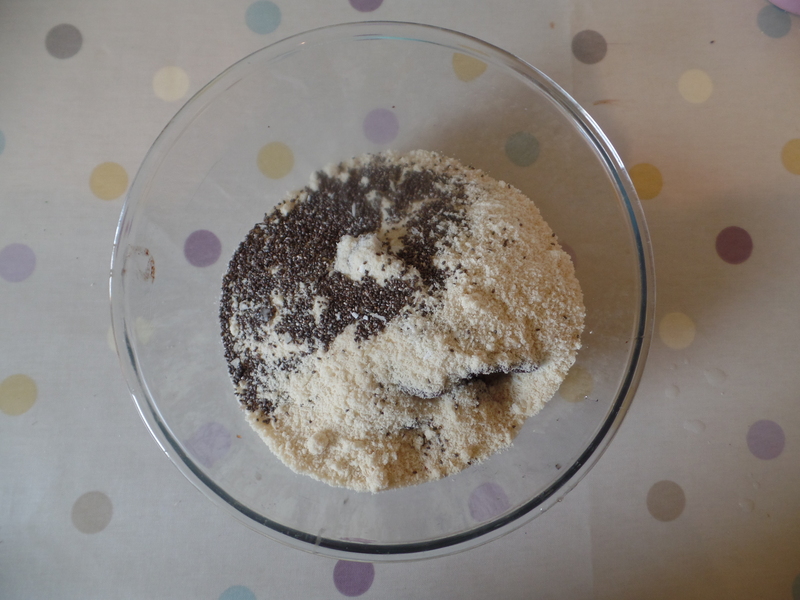 Add the ground almonds and chia seeds and with SQUEAKY CLEAN hands mix the almonds and seeds in to the gooey chocolate mixture until it is all combined into one ball. Place the bowl containing your ball of mixture into the fridge for 5 minutes to firm it up so that it is easy to shape into balls. 5. 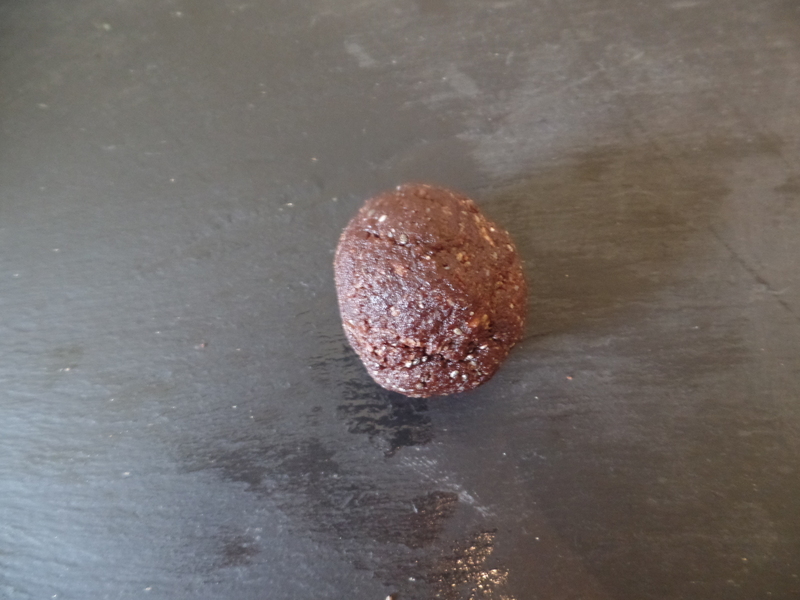 Take the mix out of the fridge and start shaping it into balls- if you want to be exact 30g is usually the perfect size for a ball, but it is up to you how big or small you make them. 6. Melt your chocolate in the microwave then dip the base of your lollypop sticks in the melted chocolate before pushing them into the bottom of your balls. This will ensure that the balls don’t fall of the sticks when it comes to dipping them. 7. 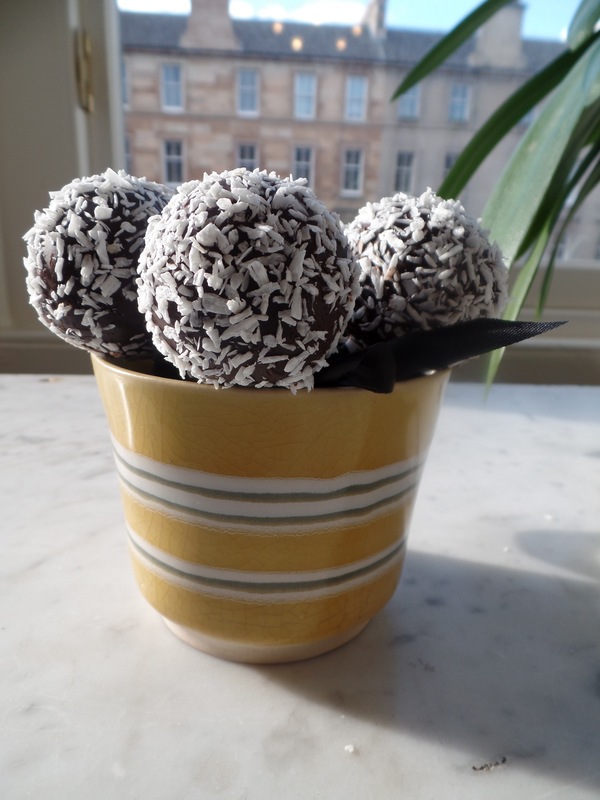 Now put the balls in the fridge like this to allow the chocolate to firm up, then you can start dipping and decorating! 8. 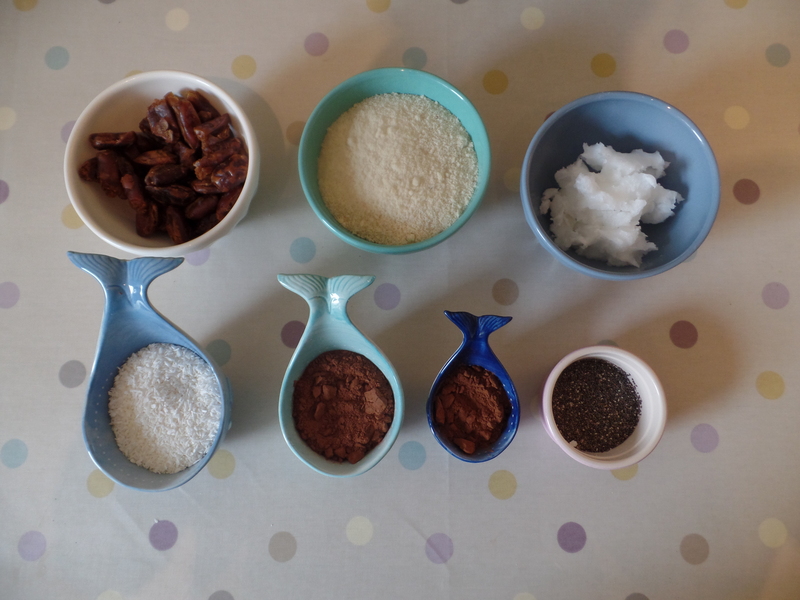 Dip your balls into the melted chocolate and then sprinkle with the leftover desiccated coconut. 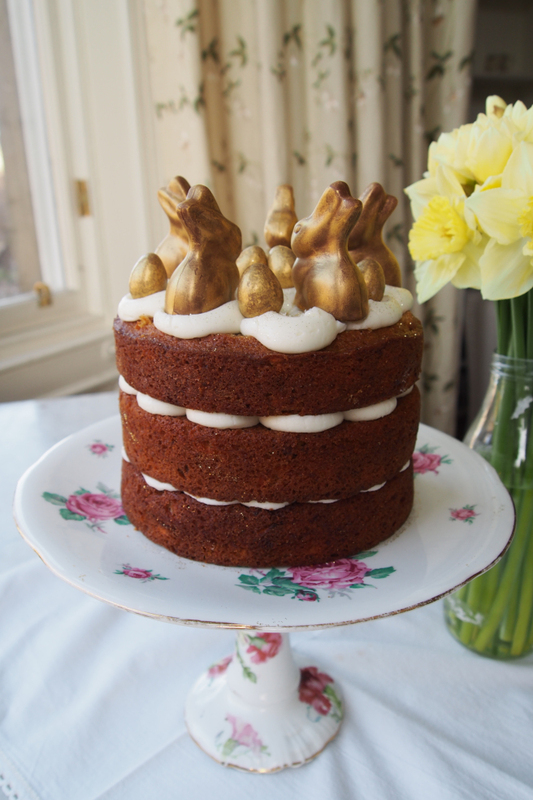 You could be adventurous and use glitter or melted white chocolate to decorate-its totally up to you what you use! 9. Place your balls upright in a mug or glass and then place them in the fridge one more time. 10. Finally, decorate your lollypop sticks with bows out of ribbon or string to add that finishing touch.